“Featuring more than 75 photographs by leading, emerging, and amateur photographers, Posing Beauty in African American Culture explores the ways in which our contemporary understanding of beauty has been informed by photographers and artists working from 1890 to the present. It incorporates a diverse range of media including photography, film, video, fashion, and other forms of popular culture and prompts rich discussions about the contested ways that African and African American beauty have been represented in historical and contemporary contexts. The Museum of Fine Art is located in the Camille Olivia Hanks Cosby, Ed.D. Academic Center on 350 Spelman Lane, Box 1526,, Atlanta, GA 30314. Musuem hours are Tuesday through Friday from10 AM-4PM, and Saturdays from 12PM-4PM. 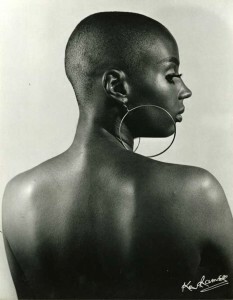 Photograph by Ken Ramsey, “Susan Taylor, as Model”. Check out more of his amazing work by clicking HERE.